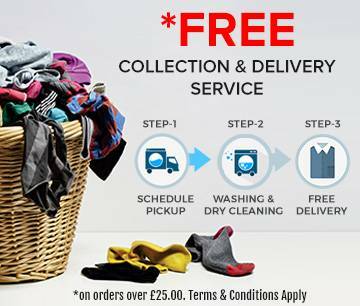 We at David Barnes Dry Cleaners are all fully aware of the importance and value of your precious garments and take great care in every respect. All garments receive the highest possible care and attention at every stage. It is important to have your dress cleaned after use and prior to storage, as any residual perspiration will attack delicate fibres over a period of time and many stains will become oxidised and set. 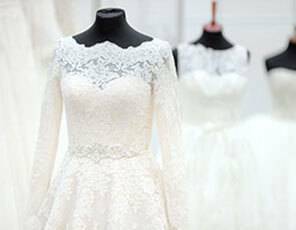 Our wedding dress cleaning experts clean your bridal dress and then store in an heirloom box, sheathed in acid free tissue paper. This encasing will protect your gown for many years to come and lessen the possibility of ‘yellowing’ over a period of time. 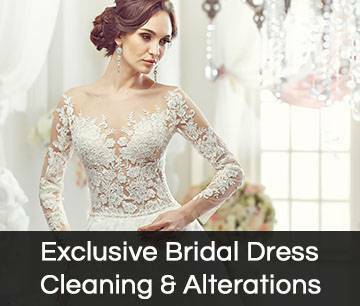 With years of experience we have developed a special process to make sure your dress gets a thorough, fine and gentle cleaning. We discuss with you the right process for your precious wedding dress. Whilst Dry Cleaning is exceptionally proficient at removing grease based stains, it is not very effective on water or alcohol sugar based stains. These must be removed prior to cleaning. Therefore, irrespective of the method of cleaning chosen, all garments are carefully checked for apparent stains, and pre-spotted using skilled techniques. This ensures that the best results are achieved. We have developed specialised processes over a number of years, to ensure thorough but gentle cleaning of your dress. We will chose the appropriate process after discussion with yourself. 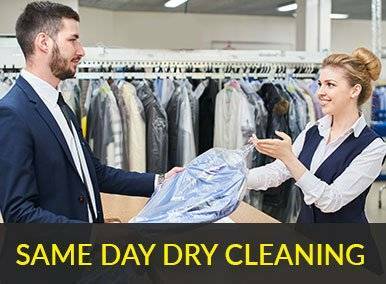 This may be either dry-cleaning with our standard solvent or GreenEarth or even a wet cleaning process depending on the type of dress, the trimming and the degree of soiling or staining present. After cleaning and careful examination, your dress will receive highly skilled ironing to achieve a fine finish to your cherished garment. Our staff are skilled and we have sophisticated equipment, so you know your dress is in good hands. After a final inspection, we package wedding wear in dedicated wide polythene, to allow your dress the maximum room. After your garment has been expertly cleaned by us, it is highly recommended that the garment is stored in a heirloom box, encased in acid free tissue paper. This will protect your gown for years to come, and reduce the possibility of 'yellowing' over a period of time. The box shown on the right is a bespoke box from a designer range which you can chose individual styles from at a small extra cost. The box in the lower picture is the "Standard" type of box available at no extra charge. If you are considering resale of your dress, whilst we achieve a very high standard of finish, the final result may not be 'like new', depending on the garment and the soiling, due allowance should be made for this. The most common form of cleaning is Dry Cleaning. This has many beneficial qualities, one of which is its' ability to clean sensitive materials without harming the fabric. However, this is not necessarily the best method, certain man-made fabrics may clean to a higher standard by careful wet cleaning, under controlled conditions. It is not possible to remove all stains and marks in every case whilst ensuring the safe handling of your dress. We do promise that we will strive to attain the best result for you and will carry out further cleaning with your consent. Garments, whether silk or polyester, can be designed with beadwork, sequins, frilled lace edges or other trimmings. All of these pose issues with the after care. Where there is doubt we will normally test the trim or beadwork prior to cleaning, and discuss the matter with you before proceeding. Certain lace work may have unsealed edges, and whilst our processes are as gentle as possible, slight abrasion is beyond our control, although it is rare to have noticeable differences. Also, occasionally the trimmings are secured to the garment by gluing, and this can often be soluble in solvent. We can only give guide prices for cleaning. 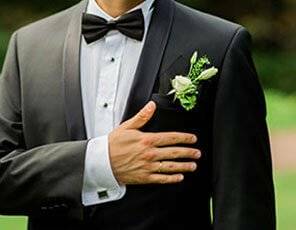 All dresses are fully inspected by our skilled staff and a price will be quoted on the basis of, the complexity of the dress, the staining present and the value of the dress. Our Guide Prices include a standard Heirloom Box and packaging with tissue. Designer boxes can be chosen and purchased as an alternative to the standard box. Please ask our Sales Staff. A £15 allowance is made if a storage box is not required or against the purchase of a designer heirloom box. We are able to arrange courier return of your wedding dress carefully and safely packaged in a beautiful heirloom box which has a strong outer box for secure and safe transport. To arrange Postal Service please either telephone us or use our contact details to provide us with your details and we will arrange for a box to be sent to pack your dress in, with a return mailing label. Postal Service will attract a Post & Packaging supplement.